Half of the fun of gift giving is the recipient’s reaction when opening it! 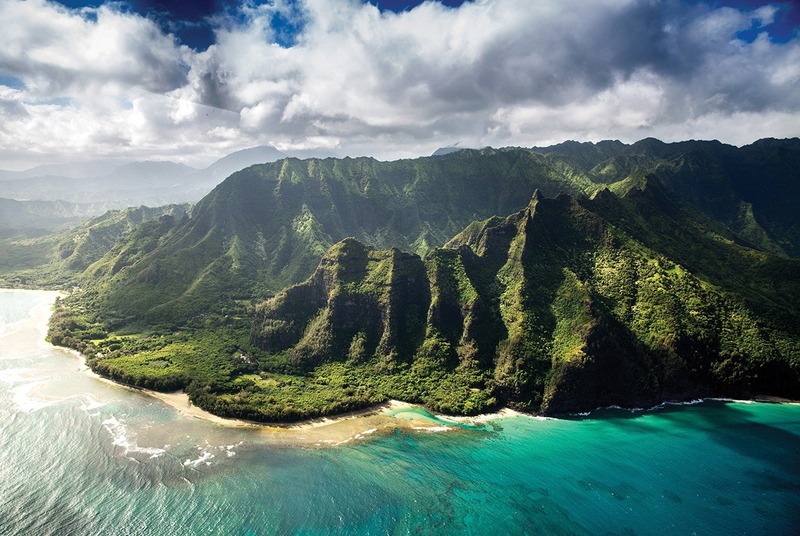 Here are 4 picks for luxury gifts that are sure to get an “OMG” reaction. If in the off chance you don’t get an “OMG,” please check the recipient for a pulse. For over 100 years, Barmakian Jewelers has been committed to offering the finest jewelry, diamonds and fine Swiss watches in New England. Handed down from generations since 1910, their guiding family principles to serve you with the best selection, value and service continue today with the Barmakian family. 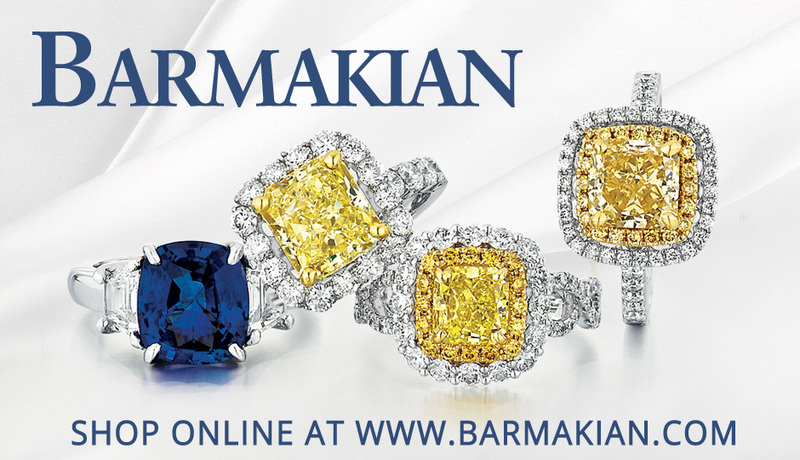 Barmakian is excited to expand beyond their Boston roots to bring an exceptional selection of diamonds and fine jewelry directly to you with their new online shopping website. 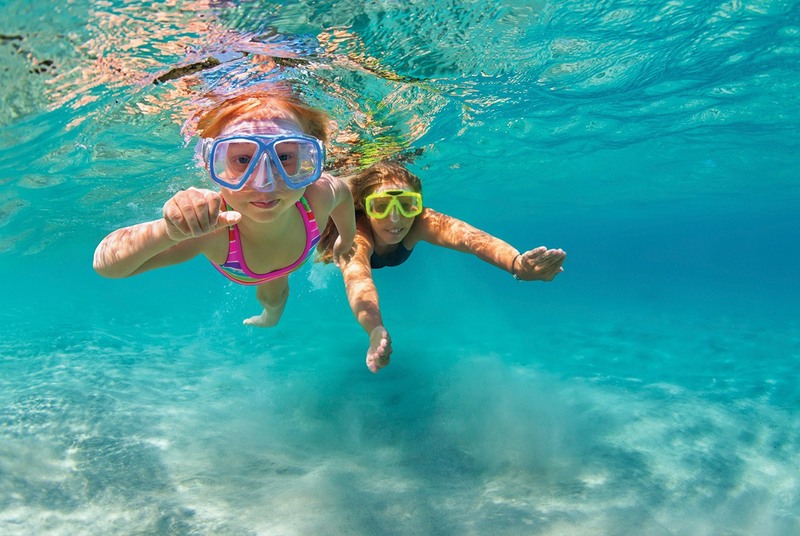 Their legendary service, extensive selection and unparalleled value continue with the ability to shop at your convenience-from home, from your phone, from where ever you may choose. Come in, browse, dream, shop. For an occasion, for a loved one, for yourself. Royal Jewelers, Andover – Polish and Pow! Grab the spotlight with this chic necklace of white and black diamonds, from Royal Jewelers. 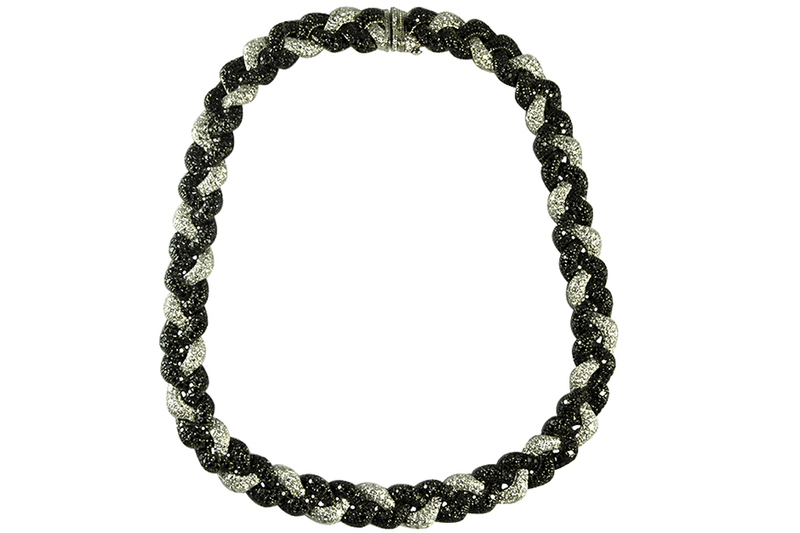 The necklace’s approximately fifteen karats of black and white diamonds are braided together and set into 18 karat white gold creating a classic look that is elegant and immediately captivating at once. Resting gracefully on the collar bone creates a dramatic visual highlighting the deep black and soft white diamonds which are pave set to maximize sparkle. 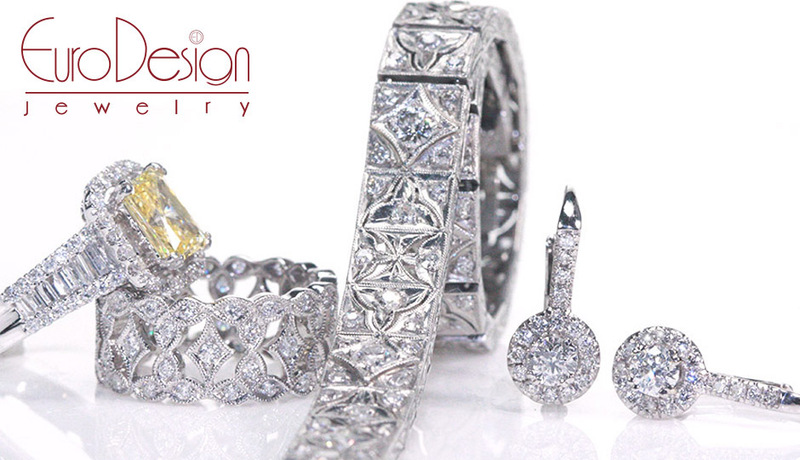 Royal Jewelers specializes in designs that appeal to our costumer’s expressive personalities. Co-President, Paula Leed, explains, “I just love when a necklace can go from day to night. I would totally wear this with a smart suit, a cocktail dress, or even jeans and a white T-shirt. This striking piece will instantly upgrade any outfit!” Compliment this necklace with simple pearls or diamond studs to complete the alluring look. Royal Jewelers in Andover, Ma is known throughout the Northeast and beyond for its luxury inventory of designer jewelry from the top brands throughout the world. Including, Wellendorff, David Yurman, Marco Bicego, and our own Custom Royal brand. They also stock a large selection of iconic Swiss watches including, Cartier, IWC, Breguet, and Panerai. To see more of Royal Jewelers OMG picks, visit www.royaljewelers.com/omggifts. 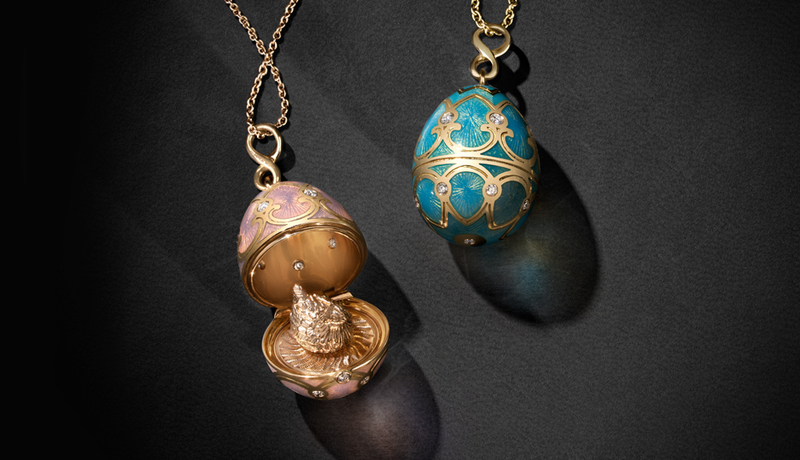 Fabergé, the iconic jeweler to the Tsars and maker of the most precious eggs in the world, is now reborn 99 years after the Russian Revolution and has arrived in Boston, exclusively available at Dorfman. Collections range from playful everyday charms to one-of-a-kind opulent jewels, including timepieces and decorative objects. Inspired by the house of Fabergé’s legendary heritage, yet contemporary and covetable today.